Perhaps most well-known for the Great Migration in the Masai Mara, Blue Wildebeest are another of Africa’s well-known wildlife species. Their dark silver-grey bodies sport a mane which hangs from the throat and neck with faint vertical black stripes adorning the fore-quarters. 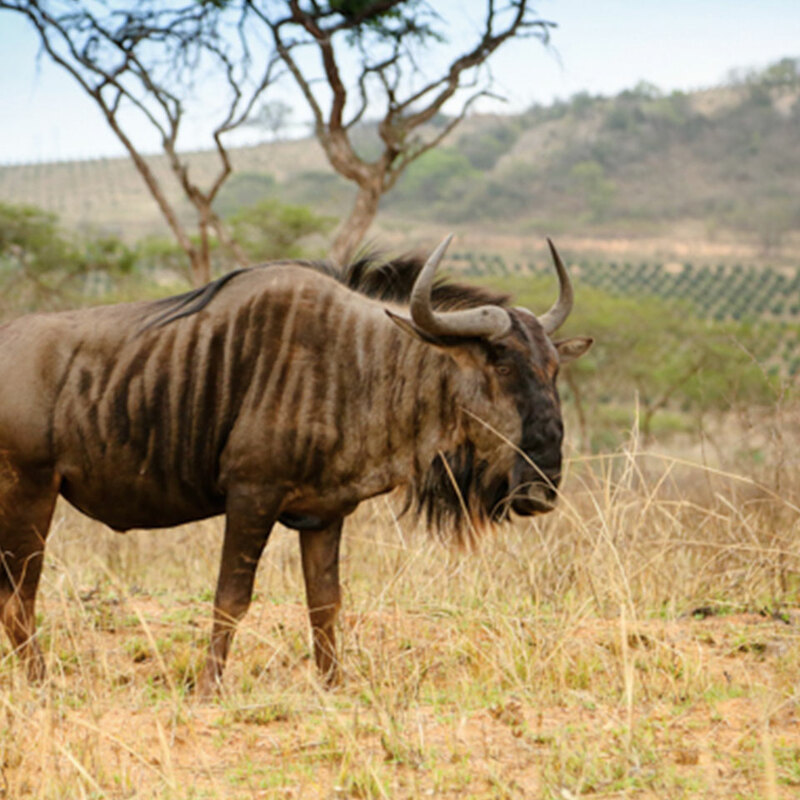 Both males and females have short, thick horns which resemble those of the African Buffalo. Most often found in open grassland, herds can grow to include hundreds and sometimes thousands of animals – especially during migration periods. They are most active during the mornings and evenings when temperatures are cooler, but can be seen grazing throughout the day. They are particularly fast runners, reaching speeds of up to 80km/h.